Châtel is part of the Portes du Soleil area, which is a mecca for Mountain Biking, and is one of the biggest riding areas in the world with over 600km of trails. From June until September – 24 lifts serve 650km of tracks and trails, covering 9 resorts in France and Switzerland. You are able to ride easily from one resort to the other using lifts and marked tracks, just as skiers do in wintertime. In Pré-la-Joux is a special area dedicated to mountain biking fanatics that is reached via the Pierre Longue and/or Rochassons chairlifts. It offers 21 mountain biking trails (20 of which are downhill runs) for every level and there are several fun areas for new school riding disciplines. You’ll find 6 North-Shore-style zones, a Mountain Style Face (freeride/freestyle area); a kid’s shore, a drop zone with a big air bag, and pump tracks. In the summer walking/hiking in the mountains is a great way to keep in shape and enjoy fabulous scenery and wildlife. 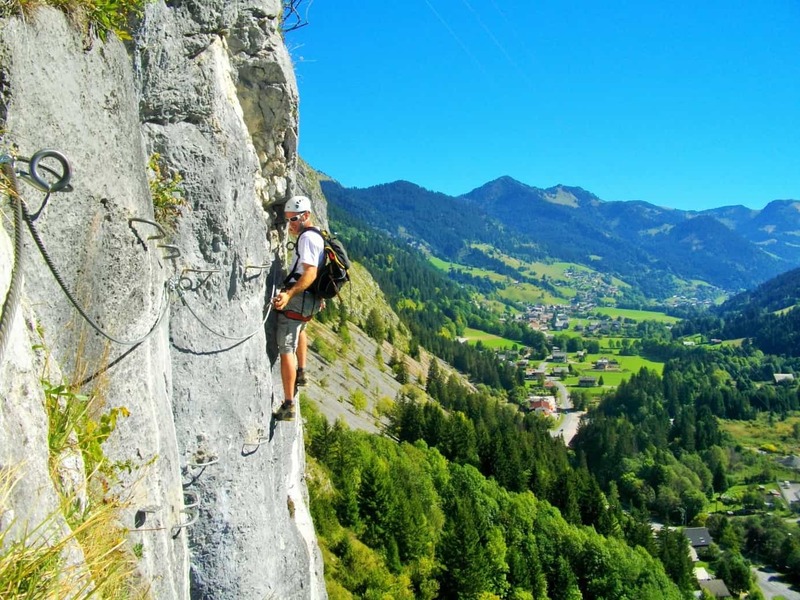 Châtel and the Portes du Soleil offer over 800 km of walking trails. These include trails in the forest, Open Mountain trails which follow rivers and waterfalls. There are plenty of mountain restaurants to rest, eat some of the culinary delights and enjoy the breath-taking views. Riding the dynamic air currents and thermals, is a great way to discover the beauty of the mountains by air. Enjoy a tandem flight; paragliding is always a source of joy and new experiences. The route climbs a very steep and exposed rock face. It follows an attractive rocky route made up of a succession of ledges, corners and overhangs.·It consists of three separate sections le cabri, le chamois and the bouquetin. Ask for details about equipment hire. 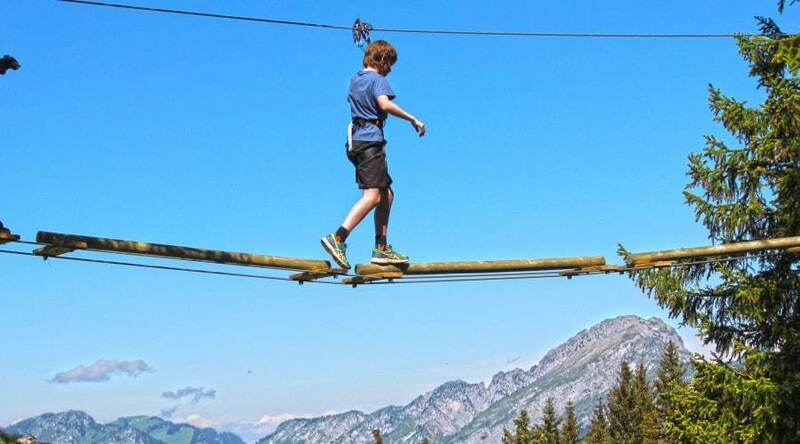 The Adventure Park is located at Super Châtel, with various trails in the trees, this park allows everyone to enjoy nature and experience emotions. Get from tree to tree by using a zip line, suspension bridge, liana, or a climbing net. Parc allows you to escape form everyday life and reach personal limits. Aquatic centre with a 25 metre indoor pool, children’s pool, an outdoor pool with water jets and Jacuzzi. There is also a great spa facility with hamman, sauna and a pool with jets. It’s a great way to relax and unwind after a days of activities. Only a few minutes walk from the chalet.